What happens when one of the very best books you’ve ever read suddenly pops up on your project list? You freak the hell out, that’s what. I read Olive Kitteridge a few years ago, during a lazy weekend in Palm Springs. It was a “read for fun” title and I can tell you, that is a rarity for me. I feel immensely lucky to work in audiobooks and to be surrounded by literature, but it means that I’m constantly reading. And I’m a pretty slow reader, so I just don’t have the time or the bandwidth to check out many titles that I’m not already working on. If a book has won the Pulitzer Prize for Fiction (as Olive Kitteridge did in 2009), it’s generally on my radar. Combined with the fact that Elizabeth Strout is a literary hero of mine, and that Olive Kitteridge is a collection of short stories, it felt like the perfect choice for a weekend getaway. It was. I knew that Elizabeth Strout was writing a sequel to Olive and I’ve been losing my mind in anticipation. 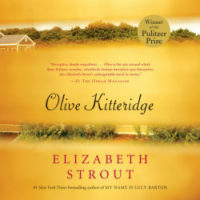 So you can imagine my delight when I found out that PRH Audio would be releasing a new recording of Olive Kitteridge just ahead of Olive, Again (which publishes in October). Two audiobooks by THIS author featuring THIS character? I could not be more thrilled! As with Elizabeth Strout’s two previous novels, I knew right away that I wanted to direct the program and that I’d like to cast Kimberly Farr as the narrator. Kimberly is one of the finest actresses I know, and she gets Elizabeth’s stuff. The tone, the pace, the shifts of energy (which can be volatile), Kimberly inherently understands these things and is able to translate them beautifully. I knew, too, that Elizabeth really loved the work Kimberly did on her previous books, My Name Is Lucy Barton and Anything Is Possible and would likely endorse this decision. I’m happy to say that she did, enthusiastically. So, how did Kimberly and I prep? We decidedly did NOT watch the HBO miniseries featuring Frances McDormand and Richard Jenkins, two actors that we greatly admire. I was afraid of being influenced by those performances, and did not want our decisions to be based on others’ interpretations of this text. I felt we needed to approach it with no preconceived notions. The book takes place mostly in Maine, so naturally we contemplated the handling of that accent, which is incredibly specific, since there are hints of it peppered over the dialogue. Luckily, we consulted with Elizabeth and she politely requested that we NOT use accents, for anyone. So, though our characters hale from Maine, the sound of our production is regionally unspecific. We also reached out to Elizabeth to clarify some pronunciations and a few lingering questions. I even asked her, at one point, “So, when Henry is referring to ‘her’ here, who does he actually mean, since two women are mentioned in this sentence?” Elizabeth was, I think, touched by our level of devotion and answered these questions quickly and thoughtfully, and with her usual wit and charm. I still thrill over the chance to chat with her. And what can I say about those recording sessions? Well, they were emotional and the recording shows it: it’s lovely and moving and Kimberly gave this book everything it was asking for. 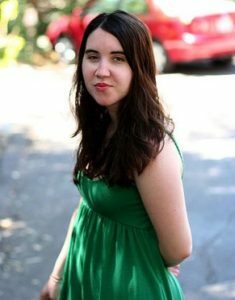 These stories are glimpses into the lives of the people who inhabit a small town in Maine, with Olive being the most prominent among them. Kimberly perfectly captures Olive in all her complex glory, but she also breathes vivid life into the whole cast of characters, young and old alike. We’re quite proud of this recording and excited to share it with you. And we’re happy to report that we’ll be returning to the booth this summer to record Olive, Again. And only AFTER that recording will we be tuning in to the HBO series to see more of Olive! I don’t think I’ll ever tire of her. Winner of the Pulitzer Prize. Now an Emmy Award-winning HBO Miniseries starring Frances McDormand and Bill Murray. In a story more powerful and compassionate than ever before, New York Times bestselling author Elizabeth Strout binds together thirteen rich, luminous narratives through the presence of one larger-than-life, unforgettable character: Olive Kitteridge. Introduce your patrons to this new audio production of a modern classic, read by award-winning narrator Kimberly Farr. Coming to audio on October 15, 2019! 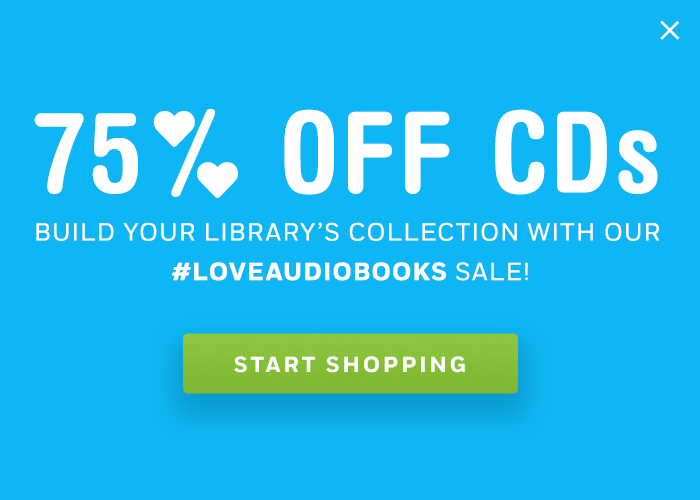 To browse our complete Elizabeth Strout-on-audio collection, click here.